The Northampton County Museum in Jackson, North Carolina is dedicated to preserving and protecting the history, material culture and heritage of Northampton County from prehistoric times to the present. When the Museum opened it’s doors in December 1986, it was widely viewed as a “Model Program” because of the hands-on, interactive approach utilized, that was the stated mission of the museum’s founders. 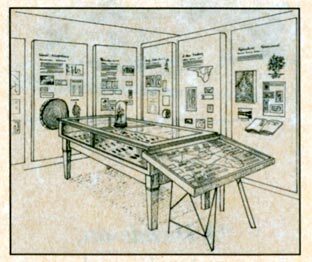 The museum was established as not just a repository for artifacts, but also as a working, educational, interactive museum that would provide opportunities for young people to experience first hand knowledge. It was to serve as a functional educational exhibition center for cultivating and enhancing community awareness of the rich, abundant historic, cultural and natural resources unique to Northampton County. 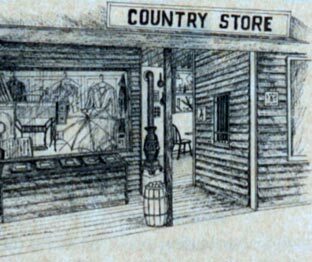 One of the more popular museum attractions is the Country Store Exhibit. There once was a time when the country store was the backbone of the community and sold everything a farming family needed. Here one could find groceries and staples, hardware, medical supplies, laundry goods, sewing provisions, toys, tobacco and candy. The country store was also a place for socializing. We invite guests to come visit our circa 1900 country store, replete with a post office, and sit by an authentic pot belly stove and enjoy a game of checkers. In the Cocoon Room and the Tree House - that proverbial secret place that children visit in their dreams, young people are introduced to the “natural world around us.” Here, one can learn about native trees and preserved species of wildlife indigenous to Northampton County. In keeping with Northampton’s rich agricultural heritage, the museum has procured a significant collection of Antique Agricultural Implements that reflect this past. Most of these implements deal with the planting, cultivating and harvesting of peanuts and “King Cotton”. In addition to the numerous permanent exhibits, the museum also features a number of rotating exhibits. The “Collector’s Come,” provides a secure space for local citizens to display their prize collections. Past collections displayed have included: Political Americana, Civil War Memorabilia, antique dolls, and an antique bottle display to name a few. The “Community Close-Up” is an ongoing exhibit highlighting the various communities throughout the County. People from each community, who have an interest in history and a good recollection of the living of life in that community, participate in the preparation of the exhibit. The “Notable Northamptonian” exhibit is an illustration and tribute to the life of notable Northamptonians. Past notables have included: George Moses Horton, often called the Black Poet, and known to be the first professional black writer in America born in Northampton County before 1798, Matt W. Ransom of Civil War fame, Gov. Thomas Bragg, and W.H.S. Burgwyn, Jr., a community leader and the individual most responsible for the development of the museum. The largest rotating exhibit is the “Northampton Room “, which offers “special windows to the past” of daily life in Northampton during bygone days. Past exhibits have included: an early church scene, a country school house scene, a typical parlor in the 1800’s and an authentic moon shine still. Visitors will find the museum’s archives to be of great interest. Included here are local newspapers covering a time horizon of almost 100 years. The advertisements of yesteryear, such as those depicting new automobiles at a price of $495.00, or women’s dresses for 98 cents, are of particular interest. A quiet area is available for individuals wishing to do independent research. 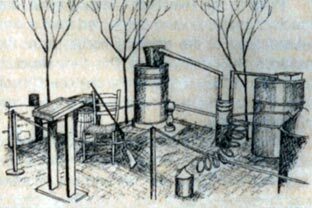 Prior to the Twentieth Century, most rural medical practices were conducted from a converted area of the doctor’s home, or at the patient’s place of residence. 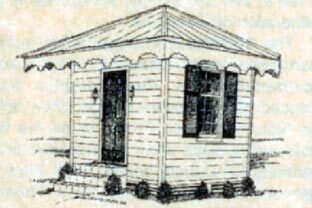 This early structure (ci 840), built specifically for the practice of medicine, is a forerunner of our present day concept of medical care. This unique building was located in the town of Rich Square, just oft main street. When a new business was being planned and the structure was threatened, Dr. & Mrs. RB. Outland had it moved to safety in their back yard, where Mrs. Outland painstakingly restored it. The Outland family subsequently moved the structure to Jackson and placed it on permanent loan with the museum. Before concluding your visit to the museum visitors are encouraged to stop by the museum gift shop. Here, patrons will find a variety of books with an emphasis on genealogical research, limited edition prints, calendars, children’s items, gifts and items of local interest.